For our final graduate success story of the term, we have our first that illustrates our dance courses. This is provided by 2012 graduate Michaela Cisarikova, who kindly agreed to an interview regarding her time at Canterbury Christ Church University within the School of Music and Performing Arts. Michaela is fondly remembered by her tutors as being an exemplary multi-lingual student, who unsurprisingly completed her BA Hons in Dance Education with a First Class Degree. 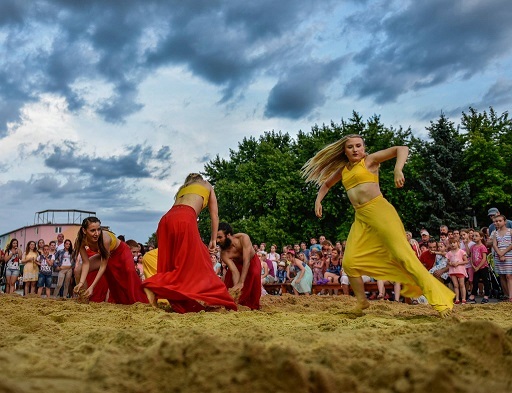 Originally from Slovakia, Michaela studied with us on our then Folkestone Campus, thereafter undertaking postgraduate study at Royal Holloway in London – the city in which she is now based – and in 2014, on completion of this study, founded her own dance company. Two years on, Michaela is extremely successful in her field and she and her company now work on projects all over the world. I am a dancer, choreographer and dance practitioner. 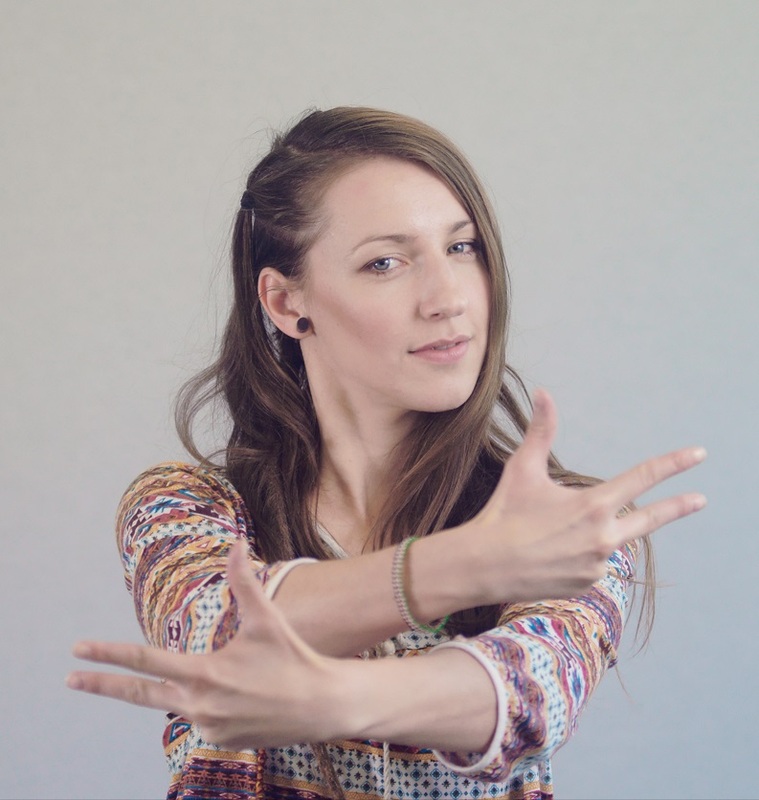 Currently my main focus is as artistic director and choreographer of MCDC – Michaela Cisarikova Dance Company. The company currently has 11 dance artists working collectively on projects. 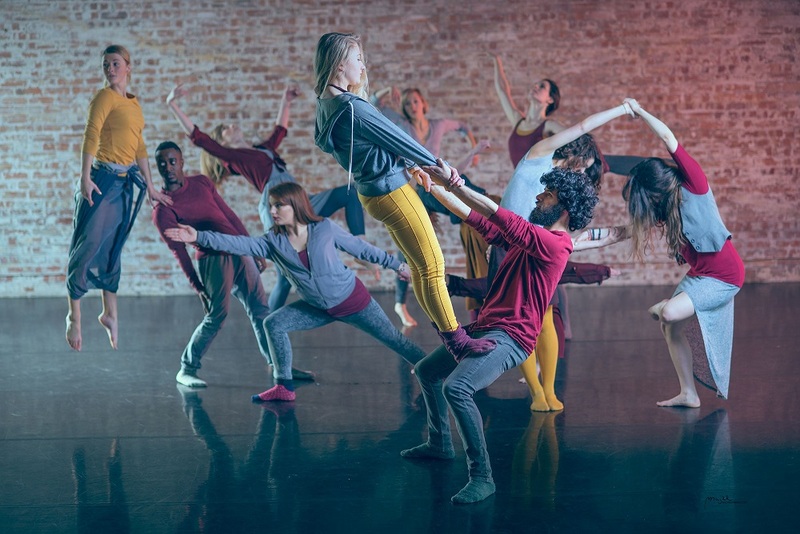 As an artistic director I look after all my dance artists, finding performance opportunities, funding opportunities, artists to collaborate with and managing and running the collective and the company. We are an emerging dance company so at this stage I am swapping my heads from marketing manager to producer, choreographer and other roles which have to be done in the company. I am also in charge of the budgeting, looking for funding and creating new partnerships and collaborations. As a choreographer I work with artists on multiple projects as different projects require different numbers of artists. This is more creative work, researching topics and types of movement we are interested in, scheduling rehearsals, thinking of costumes and the production as a whole. Some of the roles are merging together, so it is good to know a little bit from each role in order to give direction or complete the role for a higher quality project. Bringing people together and overcoming challenges. I love to make projects for people in the team and for the audience. It is exciting to find new ways of solving things during the creative process or in the management of the company. I get very excited when a new idea comes to my head, I make sure everyone knows about it and usually everyone thinks it is silly at first because I share with random people, which makes me even more excited to convince them it is a really great idea. Also what else excites me is to make things happen, how do I do it, where can I do it, what do I need in order to make it happen and that passion and drive makes it for me. With that mentality or that spark which pops into my head I am able to do anything and that is exciting how I can do it well with so little. It is and was an amazing journey full of drive and commitment, not always so simple but the support and belief I had from other people around me made me succeed in my dream and I continue learning, growing and expanding on it. As most artists you are trying to find where you fit, and what is your biggest passion within your art. Since the age of 12 I had a dream to become a choreographer. After completing my degree at CCCU, I kept training in many styles and kept searching for performance opportunities. I went on to complete the PG Certificate with Jasmin Vardimon Dance Company to gain some knowledge on how to work with a production, using theatre methods, props, projections and other skills which will help me to develop as a dancer and as a choreographer and I keep using the skills today. During all my exploration in teaching, choreographing knowledge and actively keep performing with other companies made my journey fun as I always danced along what I did. During my studies, performance activities and teaching I had other jobs to keep my regular income and since January 2016 I am able to do what I love and earn enough to pay the bills and invest in the company. Never give up, it might be challenging at the time but only you can make it happen. Do not wait for opportunities to come to you, make opportunities for yourself. There is no right or wrong way in to be creative, so if you are creating a work in any dance style or theme believe in it first and foremost. The degree was very useful and broadened my knowledge in all areas. While It did not teach me how to be the best dancer, it taught me how to look after myself as a performer and therefore apply this to how to look after my students or artists in the company. A variety of artists gave me new knowledge and inspiration and this course invited different artists from all around to share their practice and creative thinking. It also gave me space, time, advice and support to experiment on my art. My favourite memory was spent with the company Dr Angela Pickard created and directs (Dance@Canterbury). This gave me new performance opportunities and extra involvement in dance and the highlight of it was that I had the opportunity to choreograph in the company too, which gave me confidence later on in my career. I would never have expected to have the opportunity to build a community project, manage it and run by myself with support of a team and be funded by local council. A huge thank you to Michaela for taking the time to speak to me. If you would like to learn more about her company, visit their website or their facebook page. The School of Music and Performing Arts wish Michaela continued success. Has this graduate story inspired you to study with us at Christ Church? Read about the Dance Education programme on which Michaela studied and how to apply on our website here.